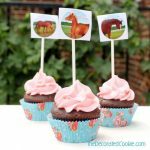 Hosting an art-themed birthday party? 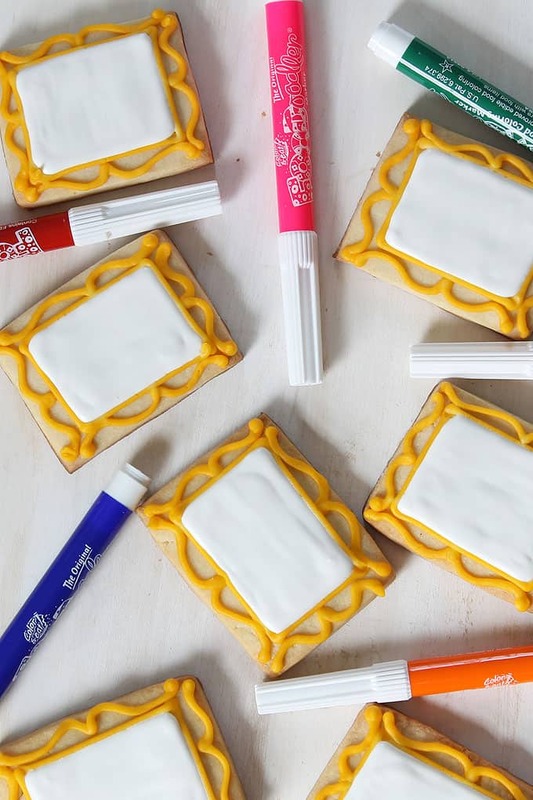 Decorate blank art canvas cookies and package with food coloring pens for awesome art party favors. 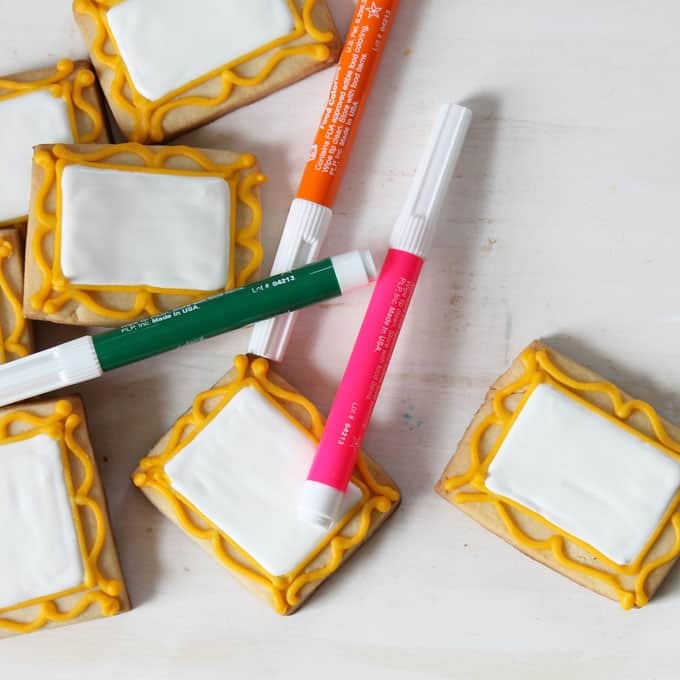 This whole kids-drawing-on-cookies thing is not new to this blog. 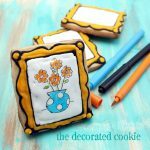 My daughter first make her own cookie art HERE when she was just a wee lass of two. And I gave my niece these framed cookies and a set of markers for her 7th birthday. Well, I adapted that same idea for her 8th birthday, celebrated at a kid’s art studio (did they have those when I was a kid? 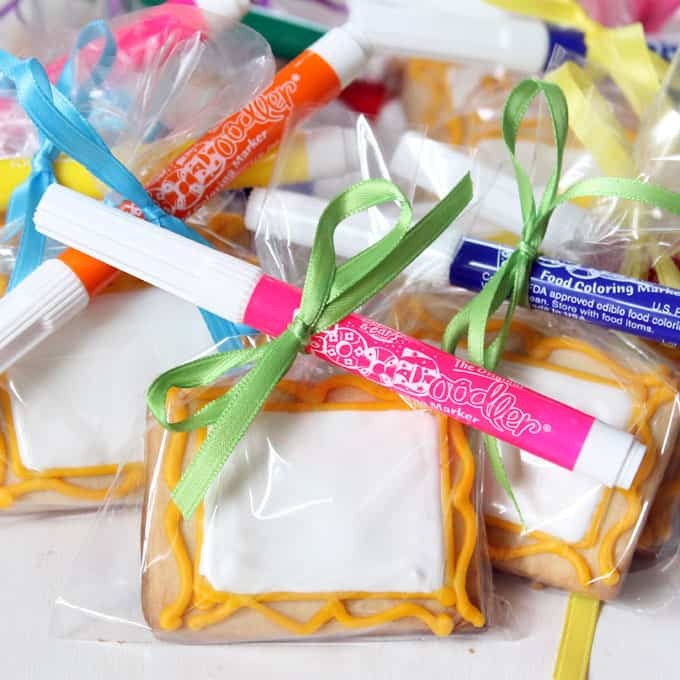 because I would’ve loved that) with these cookie art party favors, canvas cookies with food coloring markers. And drawing on food is old hat around here, of course. 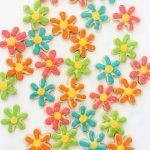 For tips on choosing and buying edible writers, click HERE. 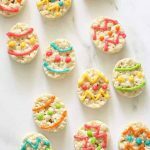 To make these, I used a small rectangle cutter to cut out the cookies with my cookie dough. Then I prepared my royal icing and tinted it white and gold with Americolor Soft Gel Pastes (Bright White and Egg Yellow). Then, I prepared a disposable decorating bag with couplers and tip, size “4”. I filled the bag with the gold and closed with a rubber band. I piped rectangles on the cookies, leaving a border. Then, I switched the tip to size “3” and piped the frame part. After the gold set a bit, I thinned the white icing to flooding consistency, filled an empty decorating bag, snipped the tip and piped to fill the frames. Let the cookies dry super duper well, overnight. 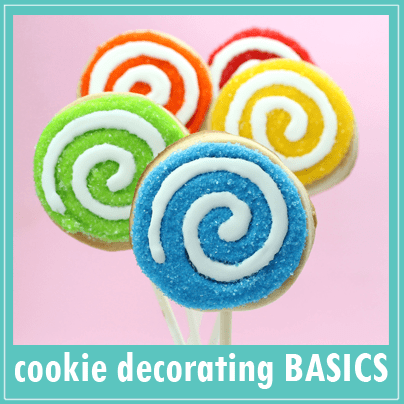 (For basic cookie decorating how-tos click HERE.) 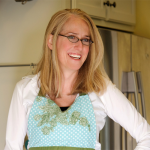 To package, place a cookie in a cello bag, tie with ribbon and attach an edible writer to the ribbon. I also made a bunch of these sparkly rainbow cookies for snacking! 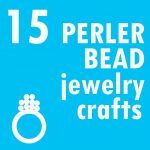 They are the perfect addition to your art party. 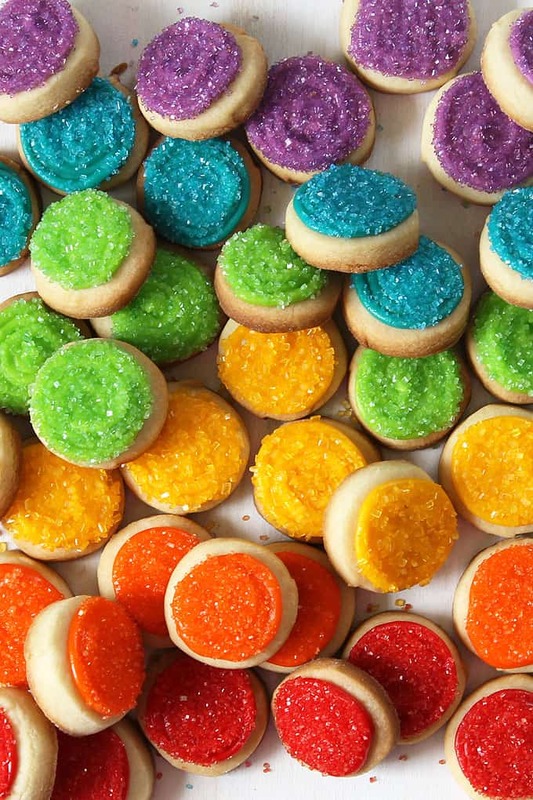 For how-tos to make the rainbow cookies, click HERE. LOOOOOVE the little frames you piped! And, the way you have them packaged! Totally adorable!!! 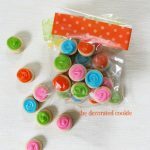 These cookies are wonderful, my 9 year old son recently attempted piping cookies and was let frustrated and with a sore wrist lol. 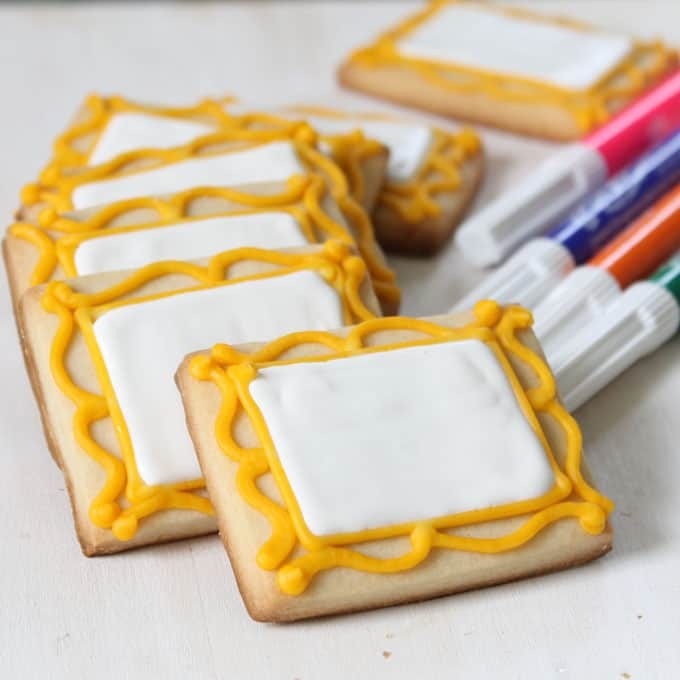 This IMO is the only way to have cookie decorating be fun for young kids. 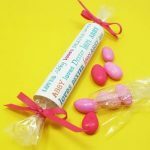 LOVE this idea for a party favor. Well done! 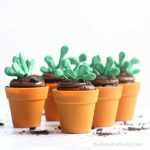 Such a fun idea for a kid’s party! Will you be my framer? 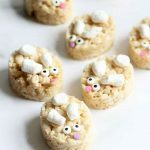 One of my all-time favorite cookie ideas (since the first time you did it)! Brilliant! I want to do this at an adult party! I love this favor idea. Kids would love this. These are sooo cool! What a creative idea. 🙂 Thanks for sharing, Meaghan!